This first section tackles Pascoe and Pepper’s analysis of papal bulls, the Tordesillas Treaty and the discovery of the Falklands/Malvinas Islands.1. These are in reality only secondary issues, because the essence of the Spanish, and consequently Argentine, claim is based on other arguments, such as: 1) recognition by maritime powers – including England – that the region, including the islands, belonged to Spain; 2) the right of first occupancy and 3) the continuous, public and peaceful exercise of sovereignty until 1811. The grant of pontifical letters, known as papal bulls, was a standard procedure in the European Late Middle Ages in accordance with the public law of the time. On a variety of grounds, Popes had granted titles of sovereignty with some frequency, from the donation of all the islands in the known world made by the Roman Emperor Constantine to the obligation of Christian sovereigns to spread the faith throughout the world. Pascoe and Pepper maintain that the Bull Inter Caetera issued by Pope Alexander VI in 1493 (they do not mention the Bull Dudum si Quidem nor the Bull Ea Quae issued by Pope Julius II) is in violation of the principle of classic Roman law “nemo dat quod non habet” (“nobody can give what they do not have”). On the basis of this assertion, they affirm that the Pope did not have the authority to grant something that did not belong to him.2 Nevertheless, this was the practice followed by all Christian sovereigns before the schism: in 1155, England benefitted from the Bull issued by Adrian IV, which granted Henry II the dominion of Ireland. It is also worth recalling the grant of Corsica and Sardinia to James II in 1297 and the Bulls granted to the kings of Portugal in the second half of the XV century, which secured their conquests in Africa. The British pamphlet asserts that papal bulls were not accepted by the kings of England and France. However, they fail to point out that, at the moment of their issuance, the kings of those countries were Catholic and recognised the Pope’s authority over Christian princes, making the bulls opposable to the kings of Spain and Portugal as well as France and England. Papal intervention in international conflicts and the distribution of territories had become a custom of European public law, and was generally accepted and recognised by those who viewed the Pope as the highest authority in the Christian world. England’s responses to Spanish and Portuguese claims were based on the geographical application of the Bull Inter Caetera, and not on its legitimacy. In London’s opinion, the Bull did not include North America. This becomes apparent from the Letters Patent granted by Henry VII to Gaboto and the legal justification of the discoveries made in the northern portion of the New Continent.3 It took almost a century for Queen Elizabeth of England to contest the papal Bull as a “donation”, despite recognising Spain’s sovereignty over the regions in which it had established settlements or made discoveries. The authors of the British pamphlet criticise the Tordesillas Treaty of 1494 between Spain and Portugal for its disregard of the rights of the Incas, Aztecs, Mayas and other peoples existing at the time.4 This question clearly has nothing to do with that of the Falkland/Malvinas Islands. The use of this argument to justify a purported British right to the New World is intriguing, considering that Great Britain has proven to be the foremost colonial power of all time, subjugating entire populations in all four corners of the world. The issue of the Falklands/Malvinas itself is evidence of Britain’s contempt for the rights of a newly independent nation in South America. The Tordesillas Treaty was a bilateral agreement which England did not object to at the time of its entry into force, and was endorsed by the Bull Ea Quae issued by Pope Julius II in 1506. Its object was to settle disputes which existed between the contracting parties. Therefore, the fact that the South Georgia and South Sandwich Islands are located to the east of the line established by the Tordesillas Treaty is irrelevant in a dispute between Argentina and the United Kingdom. The British pamphlet unsuccessfully attempts to undermine the importance of Britain’s recognition of Spanish sovereignty over the southern regions of the American continent. Spain considered those lands and seas to rest exclusively under its competence, and only authorised other nations to settle or navigate the regions by agreement in conventions. The network of treaties entered into by Spain and England through which the latter recognised the exclusive rights of the Spanish Crown over this portion of the globe, including the Treaty of Madrid (1670), the Treaty of Utrecht (1713), and the Treaty of San Lorenzo del Escorial or Nootka Sound (1790), will be examined below. 1 Pascoe, Graham and Pepper, Peter, “Getting it right: the real history of the Falklands/Malvinas”, 2008, pp. 3-6. 2 Pascoe, Graham and Pepper, Peter, op. cit., p. 4. 3 Cf. Mamadou, Hébié, Souveraineté territoriale par traité. Une étude des accords entre puissances coloniales et entités politiques locales, París, PUF, 2015, pp. 58-73. 4 Pascoe, Graham and Pepper, Peter, op. cit., pp. 3-4. It is well known that States, and the majority of jurists, in the 18th and 19th centuries did not consider mere discovery sufficient to constitute a title of sovereignty. Nevertheless, the British government made its alleged discovery of the islands into one of its main arguments. This argument was made in protest at Argentina’s exercise of sovereignty, and has continued to be raised until the present day. However, discovery only meant an inchoate title, which had to be perfected by effective occupation as long as the region in question was not under the authority of another power.5 This argument cannot be invoked by the United Kingdom with respect to the Falklands/Malvinas. 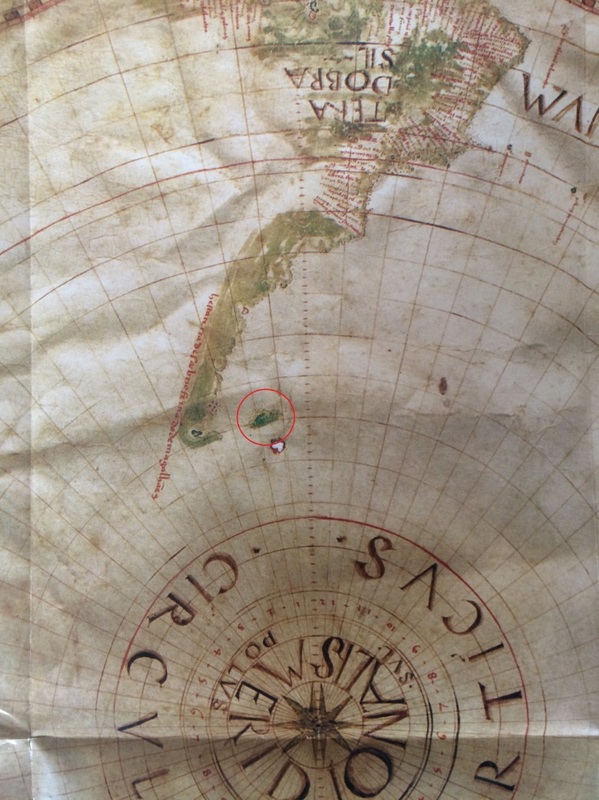 Figure 1 Pedro Reinel's map of the year 1522 where the Figure 1 Pedro Reinel's map of the year 1522 where the Falklands/Malvinas islands are observed falklands/malvinas islands are observed. It is simply impossible for this description to correspond to the Falklands/Malvinas, which are located to the east of the continent: Hawkins was heading south-west of San Julián, that is to say, towards the continent. He was at latitude 48o south, and the Falklands/Malvinas are located at 52o south. Finally, the bonfires rule out any remaining possibility. The islands were uninhabited. What Hawkins saw (if he saw anything at all) were not the Falklands/Malvinas. 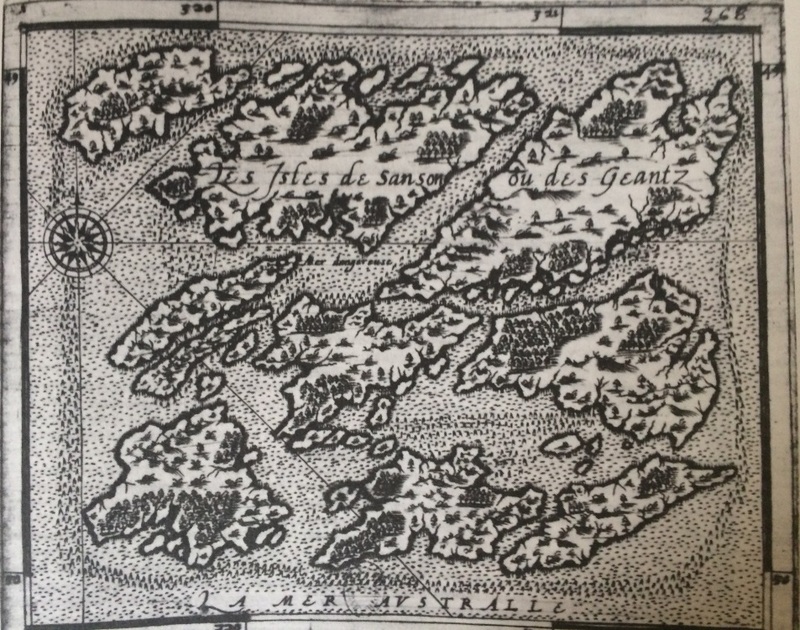 Figure 2 First specific map of the islands made it in 1520 by Captain Pilot Andrés de San Martin. (...) on the seventh day of April we sighted new land, about 20 leagues of which we skirted; and we found it all barren coast; and we saw in it neither harbour nor inhabitants. I believe this was because the cold was so great that nobody in the fleet could withstand or endure it.12. Vespucci then elaborates further in Quatour Navigationes: “It lasted for five days so terrible storm, where we had to navigate entirely a bare poles, entering into the sea two hundred and fifty leagues”.13 As De Gandía illustrates, if you take a map, look at the parallel of 52o South and then move two hundred and fifty leagues away from the coast, you will undoubtedly find the Falkland/Malvinas islands.14 El Grand Insulaire by André Thevet, the cosmographer of the King of France, also leaves no room for doubt regarding the discovery made by Magellan’s expedition. The British pamphlet maintains that it is not true that the islands were discovered by Ferdinand Magellan’s expedition. The above proves otherwise. What is more, the expedition carried out by the Bishop of Placencia’s Fleet and its effective presence in the islands during 1540 definitively debunks the much-lauded British “discovery” of 1592. 7 Pascoe, Graham and Pepper, Peter, op. cit., p. 5. 8 Groussac, Paul, Les îles Malouines. Buenos Aires, Ediciones Argentinas SA, 1982, pp. 81-82. 9 Arnaud, Vicente Guillermo, Las islas Malvinas. Descubrimiento, primeros mapas y ocupación. Siglo XVI, Buenos Aires, Academia Nacional de Geografía, 2000, p. 235. 11 Arnaud, Vicente, op. cit., p. 191. 13 Arnaud, Vicente, op. cit., p. 191. 14 De Gandía, Enrique, “Claudio Alejandro Ptolomeo, Colón y la exploración de la India Americana”, in Investigaciones y Ensayos, Buenos Aires, Academia Nacional de la Historia, 1972, p. 75. 15 Pascoe, Graham and Pepper, Peter, op. cit., p. 5. 17 Arnaud, Vicente Guillermo, op. cit., p. 231. Pascoe and Pepper’s pamphlet makes a brief excursus on the “rival” names of the islands, aiming to conclude that the British name precedes the present-day Spanish denomination by a century.18 Obviously, this has no legal relevance for the question of sovereignty at all. There are a number of islands in the world originally named by a navigator of one country, but which belong to another. Were this not the case, the Sebaldine Islands (Jason Islands in English), located at the northwestern tip of the Falkland/Malvinas archipelago, Staten Island, or Cape Horn on the Tierra del Fuego archipelago should all be Dutch, as they were named by Dutch sailors. The fact that the name of the same territory or geographic feature may vary in different languages is nothing new. The English, French and Spanish names of the islands have their own heritage and must be equally respected in all three languages. This used to be standard practice. Unfortunately, the persistent dispute over sovereignty has given a political connotation to the use of these names, a meaning that they clearly do not have. This is a minor issue that will be easily solved the day this dispute is finally settled. 18 Pascoe, Graham and Pepper, Peter, op. cit., p. 5. 19 Keene to Bedford, May 21, 1749, cited by Caillet-Bois, Ricardo, Una tierra argentina. Las islas Malvinas. Ensayo en una nueva y desconocida documentación, Buenos Aires, Ediciones Peuser, 2a ed., 1952, pp. 46-47. 20 Groussac, Paul, op. cit.,pp. 82-83. Pascoe and Pepper analyze the treaties of 1670, 1713 and 1790 superficially and without any discernible method.21 Here, we will review the texts in their context and according to the object and purpose of the treaties, as well as their interpretation and application by the powers concerned, as required by international law. In the treaties, Great Britain makes a variety of undertakings to abstain from sailing to and trading with the Spanish regions of America. 21 Pascoe, Graham and Pepper, Peter, op. cit., pp. 5-6 and 8. Pascoe and Pepper candidly affirm that, the Treaty thereby recognises Britain’s possessions in North America and the Caribbean, but that there is no similar clause for British recognition of Spanish sovereignty over the rest of the Americas.23 Again, the authors “forget” that in the New Continent, Spanish sovereignty was the rule, and British sovereignty the exception. While Spain questioned the latter, Great Britain did not question Spanish sovereignty. It therefore did not make sense to include a provision in the treaty addressing a point that was uncontroversial. Nevertheless, the subsequent article clears up any doubts in that regard. As we shall see, it concerned the prohibition of navigating to or trading with Spanish territories in America. It is evident that it was impossible to for Britain to acquire sovereignty over areas to which they could not even go. The present treaty shall detract nothing from any pre-eminence, right, or dominion of either ally in the American seas, straits, and other waters; but they shall have and retain them in as ample a manner as is their rightful due. Moreover, it is always to be understood that the freedom of navigation ought by no means to be interrupted, provided nothing be committed or done contrary to the genuine meaning of these articles. In other words, navigation had to respect the provisions of Article VIII; otherwise the article would lose all meaning. regarding the scope of the provisions referring to the navigation and recognition of the sovereignty and pre-eminence of each power in their respective spheres in America. The treaty of 1670 was part of a network of treaties between the maritime powers of the time, whose objective was the protection of Spain’s exclusive rights over its dominions and its grant of some licenses to other nations. His Catholic Majesty protected his colonies in America. Great Britain applied the same criterion in the parts of North America under its possession. This was the object and purpose of the treaty, which is also reflected in the legal instruments which will be analysed next. 22 Frances Gardiner Davenport, European Treaties Bearing on the History of the United States and Its Dependencies, Washington DC, The Lawbook Exchange, Ltd., 2012, p 194. The Treaty of Madrid of 1713 confirms our understanding of the Treaty signed in 1670 and refutes the interpretation made by the British authors. There appears an express and unequivocal recognition of the prohibition to navigate the South Seas, except for the British slave trading company. 26 Preliminary treaty of friendship and good will between England and Spain., Del Cantillo, Alejandro (comp. ), Tratados, convenios y declaraciones de paz y de comercio que han hecho con las potencias estranjeras los monarcas españoles de la Casa de Borbón desde el año 1700 hasta el día, Madrid, Impr. Alegría y Charlain, 1843, p. 73. 27George Chalmers, A Collection of Treaties Between Great Britain and Other Powers, Printed for J. Stockdale, 1790, pp. 81-82. 28 Pascoe, Graham and Pepper, Peter, op. cit., p. 6. 29Cf. Zorraquín Becú, Ricardo, Inglaterra prometió abandonar las Malvinas, Buenos Aires, Ed. Platero,1975, p. 115. A clear example of the application of the treaties in force between the two powers directly concerns the issue of the Falklands/Malvinas: British Admiral Anson’s attempt to conduct an expedition to the Falkland/Malvinas islands in 1749. 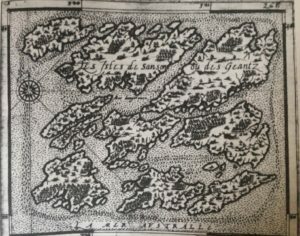 Significantly, the British government notified the aim of the expedition to the Spanish government, explaining that they had no intention of establishing any kind of settlement on the islands. This attitude illustrates two key points: first, that London did not consider itself to be sovereign over the islands in 1749; and second, that on the contrary, the British recognised Spanish sovereignty over the region. Due to fierce Spanish opposition, Great Britain gave up the project. It is apparent from the exchange of notes that: 1) even though Spain was not physically present on the islands, it claimed sovereignty and opposed any British attempt to reach the islands, 2) Great Britain did not make any claim to sovereignty over the islands, nor did it reject the Spanish claim and 3) Great Britain accepted to not send an expedition, as requested by Spain. This case refers the Falklands/Malvinas themselves, no less, and clearly shows the purpose of the treaties entered into by the two powers over their territories in the American continent. The Falkland/Malvinas islands were Spanish, and Great Britain neither objected to this fact, nor claimed sovereignty over them. 30 Rodríguez Berrutti, Camilo, Malvinas, última frontera del colonialismo, Buenos Aires, Eudeba, 1975, p. 40. 31Goebel, Julius, op. cit., p. 225. 32Caillet-Bois, Ricardo, op. cit., pp. 46-47. The British pamphlet makes a considerable, though unsuccessful, effort to undermine a key treaty for the recognition of Spanish sovereignty over the islands and Britain’s obligation to respect it. As Julius Goebel asserts, “the terms of the sixth article by inference forbade any landing at the Falklands as they were a place already occupied by Spain.”37 This was the Spanish authorities’ understanding when they took all necessary measures to protect their shores. A concrete example that can apply to the islands is the note dated March 4th, 1794 written by the Governor of the Malvinas, Mr Pedro Sanguineto, addressing the Viceroy Nicolás Arredondo and informing him that he had performed a 41-day navigation to carry out patrol and surveillance activities over the archipelago. It is further agreed, with respect to the Eastern and Western coasts of South- America, and to the islands adjacent, that no settlement shall be formed hereafter, by the respective subjects, in such parts of those coasts as are situated to the South of those parts of the same coasts, and of the islands adjacent, which are already occupied by Spain: provided that the said respective subjects shall retain the liberty of landing on the coasts and islands to situated for the purposes of their fishery, and of erecting thereon huts, and other temporary buildings, serving only for those purposes. This clearly not only reaffirms the prohibition of navigation and fishing, but also the prohibition of establishing settlements on the coasts and islands already occupied by Spain. However, this authorization in no way supports the British thesis. It proves three points: 1) that the Falklands/Malvinas were Spanish and that this was recognised by Great Britain; 2) that it was Spain which authorized British subjects to temporarily perform activities of a private nature in its possessions, and that 3) such activities were not in any way connected with the exercise of sovereignty over the Spanish territories. The pamphlet claims that the secret clause was put forward by the British with the Falkland/Malvinas islands in mind.42 In order to prove this, they quote the work of an Argentine author, a collection of three personal letters addressed to the Chilean journalist and diplomat Conrado Ríos Gallardo. This is merely his own speculation. Even if this speculation were proven to be correct, it does not change the clear and concrete impact of the Treaty with respect to the question of sovereignty: Spain was the nation exercising sovereignty over the Falklands/Malvinas in 1790, and Great Britain undertook not to interfere with its possession. Aside from its blatant contradictions, Pascoe and Pepper`s reasoning is not pertinent. Following their argument, what Great Britain feared in 1790 was a resettlement of the islands by France, or their control by the new-born United States, since most of the fishermen and hunters operating in the area were citizens of the new American nation. In 1790, the Latin American independence movement had not yet been born. When the independence movements did burst onto the scene, they were considered to be part of a civil war within the Spanish Empire. Great Britain was unable to invoke the secret clause, whether in its own favour or against Spain or Argentina, as explained below. The key point is that the Treaty of San Lorenzo del Escorial or Nootka Sound of 1790 clearly demonstrates that at the moment the Argentine independence process began in 1810, the Falkland/Malvinas islands belonged to Spain and that Great Britain both recognised this fact and undertook to respect Spanish sovereignty. In spite of the fact that the islands were under Argentine possession in 1833, Great Britain could not possibly ignore the fact that for Spain the islands, as indeed all the territory of the newborn Argentine nation, were still part of its empire of the Indies. There are a variety of reasons why the secret clause could not be invoked against Argentina. Firstly, because Argentina succeeded to Spain’s rights over the Falklands/Malvinas; at the moment in which it recognized Argentine independence and the two nations established diplomatic relations and entered into a treaty of amity in 1825, Great Britain had the obligation to respect Argentina’s territorial integrity. Secondly, even if the secret clause were in force and opposable to Argentina – which is not the case – because Argentina has succeeded to Spain’s rights, there was no settlement established by “subjects of other powers”, but only a continuation of Spain’s rights. In 1810, the relevant year for Argentina’s succession to Spain’s rights, the Falkland/Malvinas islands were undoubtedly Spanish. Great Britain was prohibited from occupying and claiming sovereignty over the islands. Argentina’s acts on the islands after independence could in no way affect a British sovereignty that did not exist at all. 33 Pascoe, Graham and Pepper, Peter, op. cit., p. 8. 34 Ferrer Vieyra, Enrique, Las islas Malvinas y el Derecho Internacional, Buenos Aires, Ediciones Depalma, 1984, p. 67. 35 Comments on the Convention with Spain, London, printed for T. Axtell, 1790, p.12. 36Pascoe, Graham and Pepper, Peter, op. cit., p. 8. 37 Goebel, Julius, op. cit., p. 431. 38 AGN Sala IX 16-9-8. 39 Pascoe, Graham and Pepper, Peter, op. cit., p. 8. 40 Ibid. 41Ibid. 42 Ibid. 43 “Notes on the issue of Falkland Islands sovereignty for House of Commons, Committee on Foreign Affairs”, Great Britain Parliament, House of Commons, Foreign Affairs Committee, sessions 1982-1983, Falkland Islands, Minutes of Evidence, 17/1/83, London, HMSO, 1983 pp. 127-137. 44 This refers to the settlement of Port Egmont. Cf. Ferrer Vieyra, E., Las islas Malvinas..., op. cit., p. 4. 45 Memorandum Respecting the Falkland Islands and Dependencies, Confidential (13336), by Field, John.W., February 29, 1928 (FO 37/12735). 46 Memorandum respecting the Falkland Islands, Confidential (9755), by De Bernhardt, Gaston. Printed for the use of the Foreign Office, January 1911, p. 12.